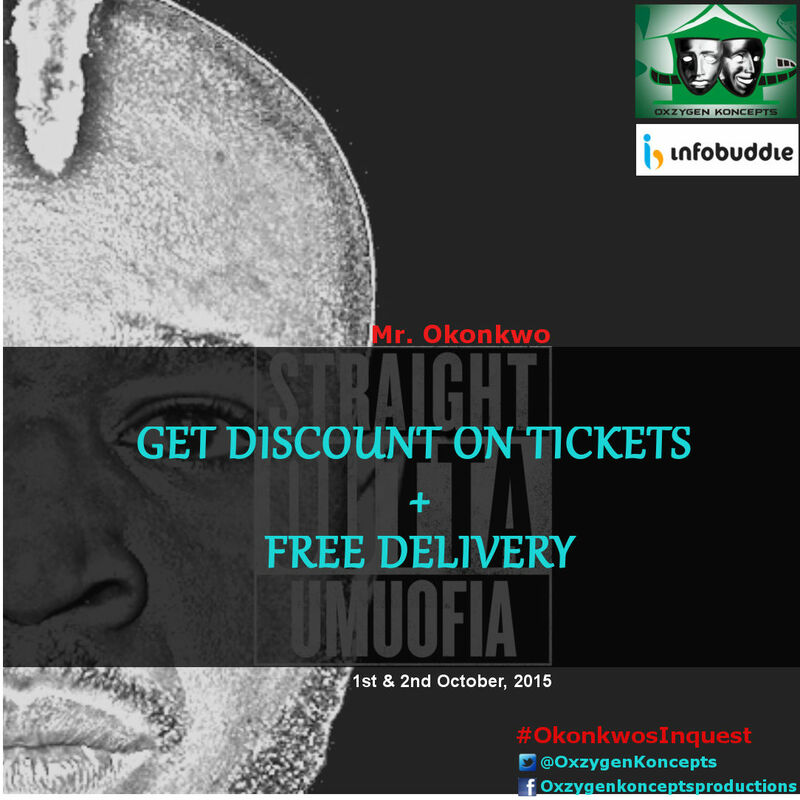 Home > Chinua Achebe > Events > land of Umuofia > Nigerian Theatre > Okonkwo's Inquest > Oxzygen Koncepts > Stage Play > Terrakulture > Things Fall Apart > Umuofia > #StagePlay: Get Discount on Tickets + Free Delivery To See "Okonkwo's Inquest"
#StagePlay: Get Discount on Tickets + Free Delivery To See "Okonkwo's Inquest"
This October, Oxzygen Koncepts will be staging an intriguing stage play, titled "Okonkwo's Inquest"
Okonkwo's Inquest is inspired by Chinua Achebe's classic, "Things Fall Apart". The play is centred on the protagonist, Mr. Okonkwo, who is from the land of Umuofia. Mr Okonkwo is a hardworking man who never really had things easy in his early life, but worked his way to recognition. However, things take an unfortunate turn for Mr. Okonkwo. From a hero, he becomes the spite of Umuofia. What could have led to this turn of fate? Okonkwo's Inquest questions the circumstances of Mr. Okonkwo's travails. Oxzygen Koncepts is giving out tickets at a discounted price of N1000 from September 4th-7th. Tickets delivery is FREE! Call 08033382887 or mention them on social media channels (Twitter: @oxzygenkoncepts, Instagram: OxzygenInsta) for reservations.